Solid surface production line is simple in structure, easy to maintain and use, stable in performance and low in operation cost. 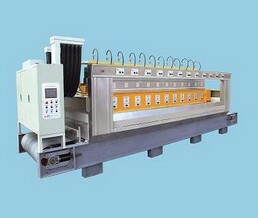 Utand solid surface production line have unique machine head & vacuum system design and technology patent. 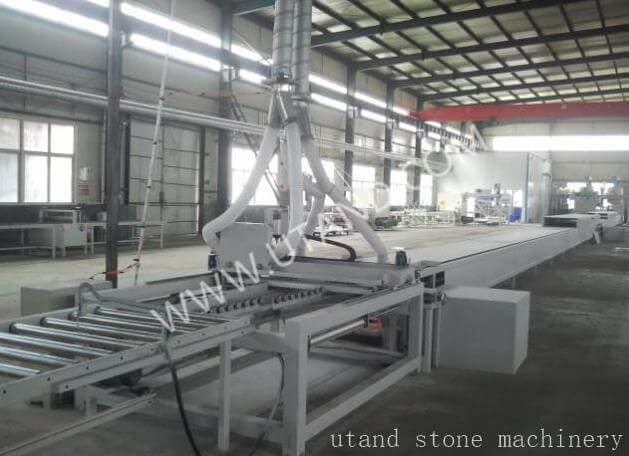 CNC solid surface production line of utand can produce solid surface, acrylic board, artificial stone decorative board. With the production requirements of energy saving and emission reduction, circular economy, and increasingly fierce market competition, manufacturers of solid surface are increasingly demanding solid surface production line. 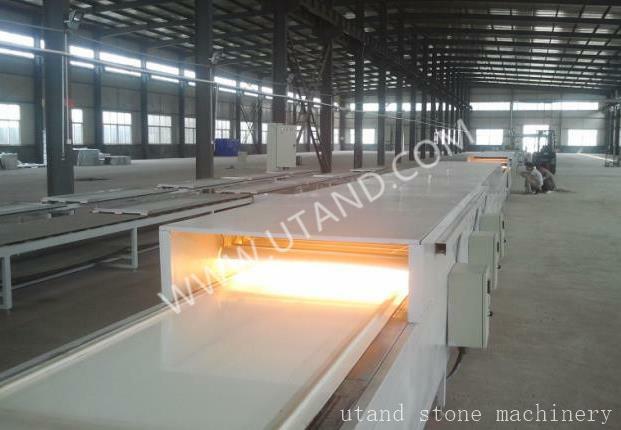 The solid surface production line equipment manufactured by utand stone machinery constantly draws on the achievements of modern science and technology development, and meets the social requirements to the maximum extent. 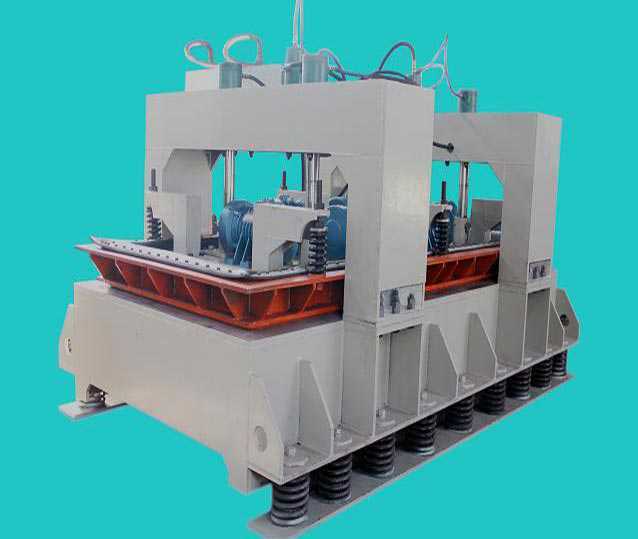 Processing parameters have been gradually optimized, and the technical parameters of solid surface production line equipment have been greatly improved, which meets the requirements of high-efficiency processing of manufacturers of solid surface materials. 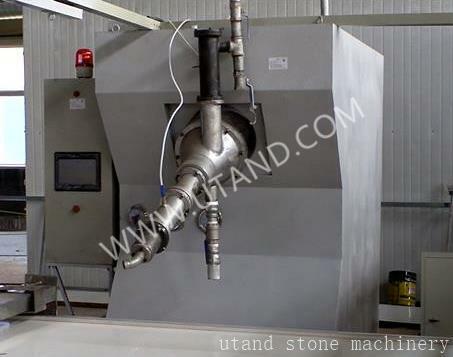 Utand has developed a number of exclusive equipment and technology for solid surface production line, which greatly stabilizes the production process and technology improvement of solid surfacing material by using the exclusive design mode of machine head and the principle of viscosity ratio. In the vacuum of solid surface production line equipment, the maintenance free oil changing bipolar vacuum pump is also used. Solid surface production line technology is to rationally design, plan and use the equipment on the basis of knowing the principle of solid surface production line, production technology and scientific and technological principles, so that the manufacturers of solid surface materials can apply advanced equipment and technology to reduce production costs and increase the competitiveness of solid surfacing material. Double roolers frequency control mixing tank : stainless steel tank, brand motor ,frequency changer, hydraulic control go up and down system. 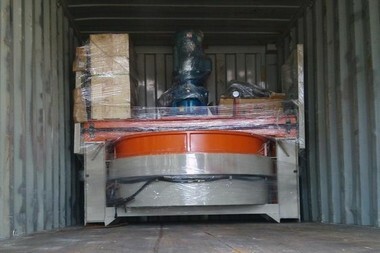 Adding remix tank: Configuration variable frequency variable speed mixing and mixing material weight display , brand motor. 1. Long artificial stone belt conveyor line: Corrosion-resistant silicone conveyor belt, high-strength conveyor, belt to prevent deviation of patented technology. 2. Long meters chain conveyor line and double heating system oven tunnel line: Metal chain exhaust heat heating technology, polyester sheet short-wave energy-saving heating technology Power; 50 kw. Flow capacity, imports of high precision gear pump, curing agent, oil free screw depth of nitride bipolar vacuum pump, automatic cleaning system and auxiliary support rod slide swing feeding system. 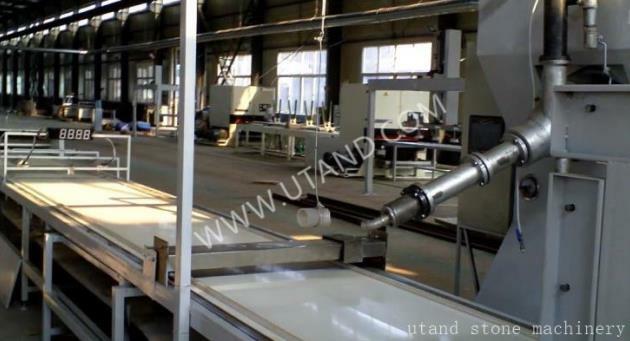 Utand Solid surface production line capacity is very reasonable, we according to market demand to carry on the design, with the best quality production capacity and price. While supporting the construction of solid surface production line, our company provides all solid surfacing material formulations, rigorous and scientific production technology and technical training And free to assist in the construction of technical laboratories and provide technical services, one-stop turnkey project. 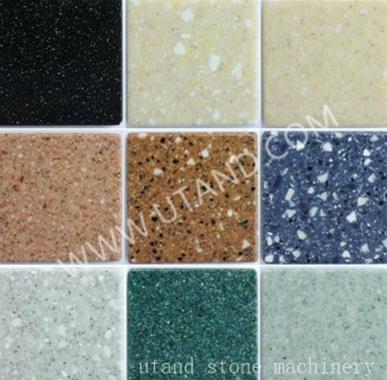 All the online accessories provided by our company are guaranteed quality and quantity tracking service, so as to avoid the worries of manufacturers of solid surface materials. solid surface making process is the production of various solid surface process, is through a variety of solid surface machinery reasonable process design, production of a specific specification of solid surface process. At present, china solid surface production line are using domestic equipment, and a small number of enterprises are self-assembled equipment, Very few enterprises are equipped with imported equipment for solid surface production line in china. Now the artificial solid surface slab are becoming more and more popular, so there are many artificial solid surface production plant. 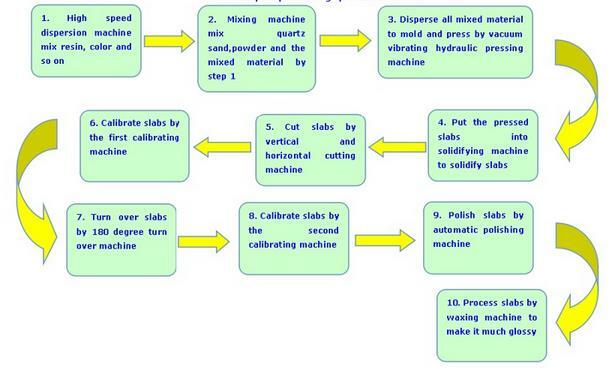 How to choose a good artificial solid surface production plant? We need to consider it from all aspects. solid surface cnc machinery is the abbreviation of digital control machine tool, and it is an automatic machine equipped with program control system. The control system can logically process programs with control codes or other symbolic instructions, and decode them, expressed in coded numbers, and input them into NC devices through information carriers.